Africa Trust Academy is a coaching and consulting company. We inspire, educate and equip people and organisations to achieve key results. Our financial education program encompasses the psychology, science and art of money. The psychology of money addresses the emotions and beliefs attached to money as Warren Buffett says “if you can’t manage your emotions, don’t expect to manage money”. We provide entrepreneurship education because wealth and a high majority of jobs are created by small businesses which are started by entrepreneurs, many of whom go on to create big businesses. Sandras J. Phiri is a fun inspirational educator, speaker and entrepreneur. He is the CEO and co-founder of Africa Trust Academy, an education company dedicated to inspiring and educating people for economic transformation. ATA owns Pranary, an innovative online financial literacy education platform aimed to reach a billion people in developing nations. Sandras is passionate about education and exponential technologies and he is the Chapter Director for Startup Grind Lusaka. Sandras has spoken and consulted in several countries including Zambia, Malawi and Bali Indonesia, Silicon Valley USA and has worked with renowned organisations such as General Electric, the African Union and several companies listed on the Johannesburg Stock Exchange. He has lectured at 11 major universities in South Africa and is a mentor on South African Broadcasting Corporation TV programme that focuses on enabling entrepreneurs to build successful businesses. Sandras has experience in banking, mobile payments, insurance, unit trust and IT. He holds a Computer Science degree and an MBA from University of Cape Town. He lives in Cape Town South Africa with his wife Lelemba and two kids. Visit www.sandrasphiri.com for more. LelembaPhiri is the co-founder and advisor of Africa Trust Academy. She is an award-winning financial educator, writer, keynote speaker, and finance and development professional. 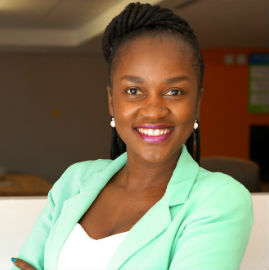 She is the Group Head of Talent and Managing Director for Zoona Zambia and Malawi, an African mobile payments business that helps people in Africa send and receive money when they need to most so that communities can thrive. 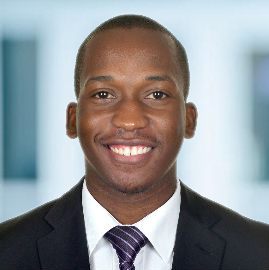 Lelemba has a Masters of Commerce in Development Finance (with distinction) from the Graduate School of Business (University of Cape Town) and is a Chartered Accountant (FCCA, FZICA). She also holds a Bachelor of Science in Applied Accounting (Hon) from the Oxford Brookes University (UK). Lelemba has worked with private, public and government institutions for over 12 years. Her experience extends across South Africa, Zambia, Ivory Coast, Ghana, Angola and other sub-Saharan countries. Visit www.lelemba.com for more. Dalumuzi Mhlanga is an entrepreneur, international speaker and researcher whois the Founder of Lead Us Today (www.leadustoday.org), a nonprofit organization, which he established in 2010 and currently trains 1,000 students attending 40 high schools in four of Zimbabwe’s ten provinces on leadership and entrepreneurship. Dalumuzi is a Rhodes Scholar who holds a Bachelors’ degree with honors in Social Studies from Harvard University,a Masters in African Studies, and an MBA from the University of Oxford. 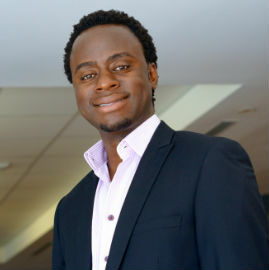 He was named the 2011 College Social Innovator by Forbes.com, singled out as one of “Ten Outstanding Young Persons of Zimbabwe” by Junior Chamber International, was identified as an “Emerging Global Innovator” by American Express and Ashoka, and in his final year of university, was profiled as one of the 22 most impressive students at Harvard University by Business Insider.